Notepad Doodles and got a work permit! Hey there sorry for the lack of posts lately…been so busy and Citizenship and Immigration Canada have been in contact and I have been approved. I have a work permit for 4 years…so happy and work really payes off. I leave in the end of Januray! So a lot to do with Comics, Christmas and Canada. But lately I have been tarveling a lot and so I assembled a sheet of the doodles I have…uh…well doodled while on the train, cafes and in my hotel in this last hectic week. Some of these I will develop further and add colour. 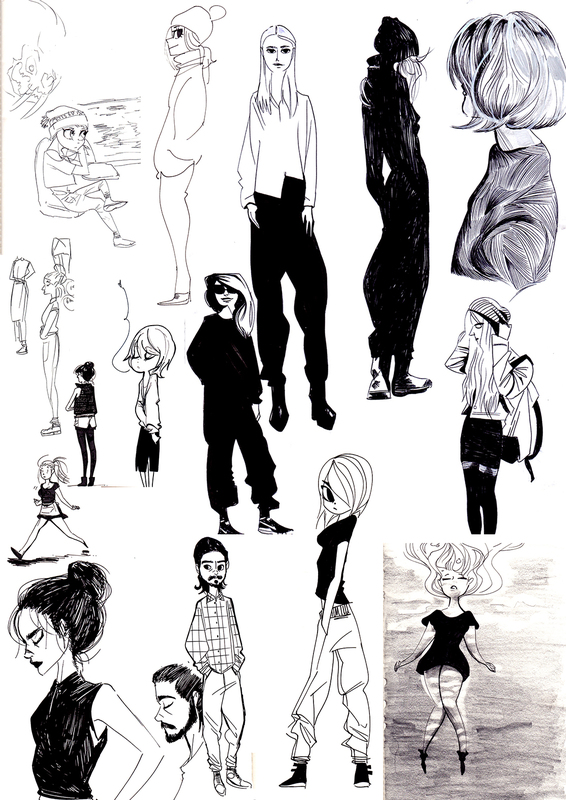 This entry was posted in Uncategorized and tagged Character Design, Character Development, comics, Drawing, Drawings, Fashion, Girls, Illustration, Illutration, Images, ink, Rossi Gifford. Bookmark the permalink. ← Interview by the Space Channel is online!